INDIANAPOLIS — For a lot of working families, coming up with the money for schoolbooks can be daunting. The hundreds of dollars parents pay every year are just part of the costs associated with putting children in school. There have been proposals to eliminate those fees for parents. The problem with eliminating the fees, Rep. Chuck Moseley, D-Portage, said, is the textbook costs will get passed on to the school corporation, many of which are already hurting for money. Moseley’s solution is in the form of a tax credit for parents. “I think it's just a very unique way, a very streamlined way, a very effective way a very fair way to help working families be able to afford to send their kids to school,” Moseley said. In Moseley’s example, if it costs $300 per child for a year of school books, the child’s parents would pay that out of pocket at school time. After paying the $600, the mother would be able to apply the money to her tax refund in April for a tax credit. Moseley said his proposal, House Bill 1508 is the first of its kind in Indiana. 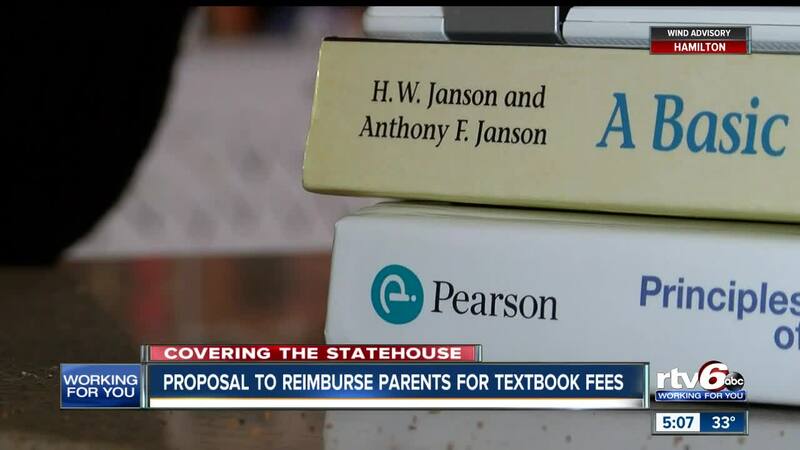 A year ago, the Monroe County chapter of the Indiana Coalition for Public Education started a petition to get rid of textbook fees for public school students. The petition supported a House proposal to eliminate the fees. The petition had more than 7,000 signatures, but the proposal died without a committee hearing. According to the ICPE, costs for textbooks are about $100-$300 per child. "Textbooks are not a frill," the petition stated. "They are an essential aspect of the curriculum. It's time for Indiana to step up and fully fund public education." With the deadline for bills to get a committee hearing looming, Moseley says it’s important for the state to help parents who may not be able to make ends meet – in any way it can.